In November, BMW unveiled the special edition M3 CS model, a vehicle that balances both practicality and performance. Thanks to the use of carbon-fiber-reinforced plastic throughout its construction, the M3 CS is significantly lighter than other M3 models, with a lower center of gravity that offers even more agile handling. The 3.0-liter M TwinPower Turbo six-cylinder engine delivers better performance than the standard M3, producing 453 horsepower and 443 pound-feet of torque. The M3 CS can reach 0-60 mph in merely just 3.7 seconds, and the vehicle features an electronically limited top speed of 174 mph (note: always obey local speed limits). The standard Adaptive M Suspension lets the driver select between Comfort, Sport and Sport+ modes that include different damper settings for each mode. Additionally, there are three settings for the electromechanical steering that may be selected with the touch of a button. The chassis includes Active M Differential, enhancing the vehicle’s already-stellar traction and stability. The control unit communicates with the Dynamic Stability Control system to monitor certain mechanical aspects and adapt to the constantly-changing driving environment, making sure that maximum torque is provided to the rear wheels. U.S. customers may order the M3 CS in May 2018, and there will only be 1,200 produced for distribution around the world. 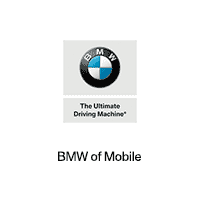 At BMW of Mobile, we’re proud to help BMW drivers from the Mobile, Daphne, Fairhope, New Orleans and Saraland areas.